Within six short years, the Marvel Cinematic Universe has accomplished more than a few feats worthy of its superheroes. What used to be a fickle, campy genre gained newfound credibility as high-quality, entertaining action even for those outside the comic book fanbase. And then there’s the matter of how brilliantly each film’s entire tone captured the complexity of its respective protagonist: like Tony Stark, the “Iron Man” trilogy was edgy and witty; “The Incredible Hulk” had all the intensity and self-consciousness of its lead; and “Thor” and its sequel were as lighthearted and playfully hammy as the God of Thunder himself. But let’s not forget how “Captain America: The First Avenger,” with its straitlaced period charm, and our favorite shield-wielding super soldier both take themselves very seriously. Its follow-up “The Winter Soldier” follows suit, doubling as a political thriller and a superhero movie. At a certain point, however, its weightier matters go over the limit, ultimately feeling force-fed and far-fetched. The storyline is a field day for conspiracy theorists more than for comic book aficionados. 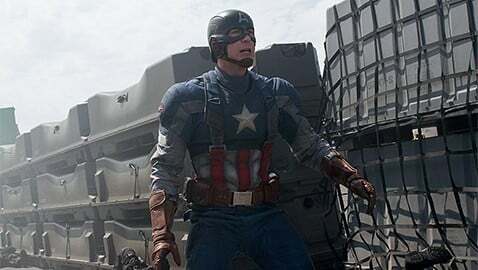 After the events of “The Avengers,” Steve Rogers (Chris Evans) — Cap’s more mundane alter-ego — is learning to adjust in the 21st century ever since S.H.I.E.L.D. defrosted him from 70-year-old ice. In between catching up with the times, Steve works to save lives with S.H.I.E.L.D. alongside fan favorites Nick Fury (Samuel L. Jackson) and Natasha Romanoff, also known as the Avengers’ Black Widow (Scarlett Johansson). But the beloved intelligence agency we’ve seen grow into a formidable power over the past, eight movies has some nefarious motives up its sleeve, infiltrated by both old and new enemies. Needless to say, what good is left in S.H.I.E.L.D. turns to Cap’s help, but the malevolent pressures threatening to tear apart the agency put Steve’s moral center to the test. The audience is thrown into an unconvincing conspiracy with the force a vibranium shield, making Cap’s universe appear overrun by millions of psychopaths. Because of this, there is surprisingly little room left for the eponymous Winter Soldier. Compromised and brainwashed by Cap’s enemies into a ruthless killing machine, the Winter Soldier turns out to be Steve’s best friend Bucky Barnes (Sebastian Stan). Dramatic, exciting and touching moments abound as Steve attempts to reconvert him, but the latter tends to skitter in only during the most climactic moments, leaving a lot of questions about him unanswered. Aside from the problematic script, which clumsily takes more than a few pages from the “Bourne” series, the movie has plenty of redeeming qualities — this is a Marvel film, after all. Perhaps the reason that the storyline suffers is because the action scenes are where all the punches are (no pun intended). It’s no surprise that a great deal of the film’s marketing took place in conjunction with the Sochi Olympics: Every shot in fight sequences and car chases captures the intensity and peerless athleticism that made “The Avengers” so electrifying. There’s also still an element of typical Marvel humor here: Black Widow deadpans effortlessly, and recent veteran Sam Wilson, a hero in his own right as Falcon (Anthony Mackie), carries much of the film’s comic relief. More importantly, this is the film that proves Cap is more than just a guy with a shield — he can withstand anything, both physically and morally. With today’s cynicism, it can be difficult to grasp that such a hero is, in the bigger picture, a representation of the good ol’ U.S. of A. Perhaps the unrealistic conspiracies that abound in “The Winter Soldier” are a way to console us that we have the power to withstand the evils in society. All in all, the loose ends left by the end of the film — however frustrating for those who prefer some more closure — make the movie more of a transitional piece than anything. Touted as “The Avengers 1.5,” a direct lead-in for next year’s “Age of Ultron,” the film does ramp up the anticipation for the last flick of Marvel’s Second Phase. Let’s hope, then, that “The Winter Soldier” is simply asking the questions that will be answered in 2015.